Home » Technology » How To Read Someones Line Messages Without Accessing Their Smartphone? How To Read Someones Line Messages Without Accessing Their Smartphone? With the boom in technology, whatever you want to do, you can do with just a click. Same goes for monitoring someone’s Line messenger chats. People, today, are using their smartphones more than ever. Nomophobia is a term being used to describe the current generation that cannot even live without their smartphones. If any of your close ones, maybe your partner or child is using their phone too much and you observe this change all of a sudden, you would definitely have the itch to figure out what’s going on. Have they started using Line messenger more than before and you suspect something is not right? If it is hard to just go through their smartphone to read the conversations, there is still a way to figure out what they are up to via a Line chat spy application. Why You Should Be Worried? Line is a multifaceted text, video, and voice messaging app. It is not as much of a simple application it seems. It has some social media elements like games, group chats, and personal timelines. It even has the ‘Hidden Chat’ feature that deletes messages after a while, just like Snapchat. There are some official accounts on Line too that promote products, celebrity, brands and to Line users. People online are not always who they seem to be. Someone can eavesdrop on a conversation. The group conversations or the messages that you think are being deleted can be saved for offline use and that too against you. The online chatrooms in games that are accessible through Line can be undesirable places. If you’re talking to a total stranger, they may do things that can make you uncomfortable or unsafe. Questions such as how old are you, are your parents home, where do you live are an indication that the person you are talking to may be an online predictor. Apart from parents, a partner may be worried about a possible infidelity of their significant other and they may be using Line to communicate with someone. How Can Line Chat Spy Application Help You? Sometimes, spying is the only way out, especially if your intentions are to keep your loved one safe or to get to the bottom of your partner’s infidelity. To begin with, you will have to download Line messenger spy tool on the smartphone of the person you want to keep tabs on. It can be your child or your partner. 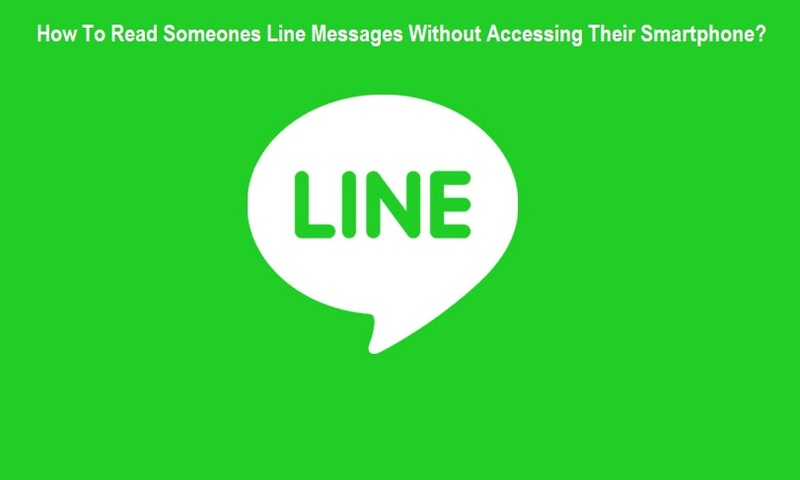 Usually, the best apps for Line chat spying cost you a subscription. You have to download and install the app, and it will let you view the Line conversations from a remote location. You will have access to a control panel or an online web account that will show all the data stored on the smartphone in front of your computer. If you want to safely perform Line Chat spying, we suggest you get Xnspy. It is really simple to use. After the download and installation, you have to log into the web account to get access to the dashboard. This dashboard works like a camera that shows you everything inside the target device (the smartphone that you are monitoring). You can read all the Line chat threads. The sender’s name and number can be checked. You can export the Line chats into a spreadsheet. With Xnspy, along with just Line messenger, you can view the conversations of most of the popular Instant messengers like Facebook, WhatsApp, iMessage, Skype, and Kik. Block any stranger that tries to talk to you on Line. Be very picky about sharing your private information. It is recommended to leave your Line profile blank. Even if you have to enter some data, it should be fictitious. Never click on the links you receive through Line from people who you do not know or trust. Never make any in-app purchases by giving out your credit card information or other personal data. A line chat spy app will help you get to the bottom of something that’s bothering you whether it is related to your kid, your partner or your employee. Before you plan on spying someone, it is recommended to get their consent. For kids, it may not be a problem but if you are about to spy on a partner or employee, privacy and consent are an important concern.